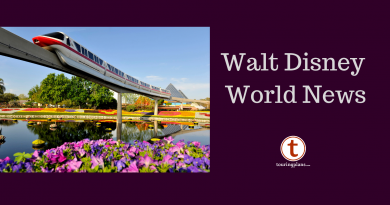 How did the Disney World Crowd Calendar do last week? Last week the Disney World Crowd Calendar predicted crowd levels to bounce up and down each day in a flattened “w” shape. As it turns out, that is exactly what we observed but the “w” wasn’t so flat. The resort wide numbers were within one crowd level of what we observed each day with the only exception being Friday when all four parks were one or two levels higher than predicted. Animal Kingdom wait times were within a few minutes of predicted averages while Epcot and Disney Hollywood Studios were a few minutes higher on average. That leaves Magic Kingdom as the only standout with average wait times like 37 minutes at Space Mountain (predicted 33) and 33 at Winnie the Pooh (predicted 23). Only Peter Pan’s Flight managed to reach an average wait above 50 minutes (58) so wait times were still quite manageable across the park. Magic Kingdom’s late closing pushed wait times much higher on Monday, as expected. Peter Pan’s Flight averaged 78 minutes (predicted 71) and Jungle Cruise averaged 52. Meanwhile, wait times at Epcot and Hollywood Studios were middle-of-the-road and Animal Kingdom was near empty with averages like 21 minutes at Expedition Everest and 16 at DINOSAUR. Tuesday’s crowd (along with Thursday) ended up as the least crowded day of the week, last week. Animal Kingdom waits were low again and Magic Kingdom hosted Mickey’s Very Merry Christmas Party which means shortened hours for regular guests. Only Magic Kingdom had a crowd above the midpoint of our scale on Wednesday. Epcot hit the midpoint but Hollywood Studios and Animal Kingdom were near empty once again. At Hollywood Studios we saw Toy Story Midway Mania hit an average of 74 minutes but Star Tours averaged only 16 and Great Movie Ride averaged 15. 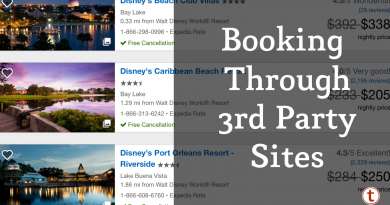 All four parks had low wait times on Thursday. Even Epcot at a crowd level ‘5’ had reasonable averages like 12 minutes at Spaceship Earth and 63 minutes at Soarin’. Animal Kingdom had its highest crowd level since Sunday and The Studios continued its moderate waits. Friday was the only miss by the Disney World Crowd Calendar thanks to Epcot and Animal Kingdom. No wait times were extreme at any park however. Magic Kingdom wait times stayed relatively low most of the afternoon since that park hosted another Christmas Party. 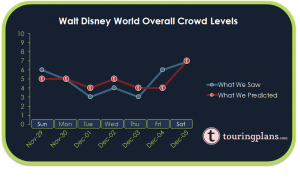 Saturday saw the only major underestimate by the Disney World Crowd Calendar last week. At Epcot, Soarin’ averaged 80 minutes (predicted 66), Test Track averaged 70 (predicted 50) while Spaceship Earth averaged 22 minutes, as predicted. Last week may have been an indication that December crowds will be closer to historical averages than what we saw in October and November. If that is the case then we expect moderate crowds for the rest of the month until we hit the peak Christmas season starting on December 24.